Al Adwani Law Firm was in attendance for the Seminar on the Intersection of Insolvency and Arbitration held on December 4, 2017 at the Kuwait Commercial Arbitration Centre (KCAC). 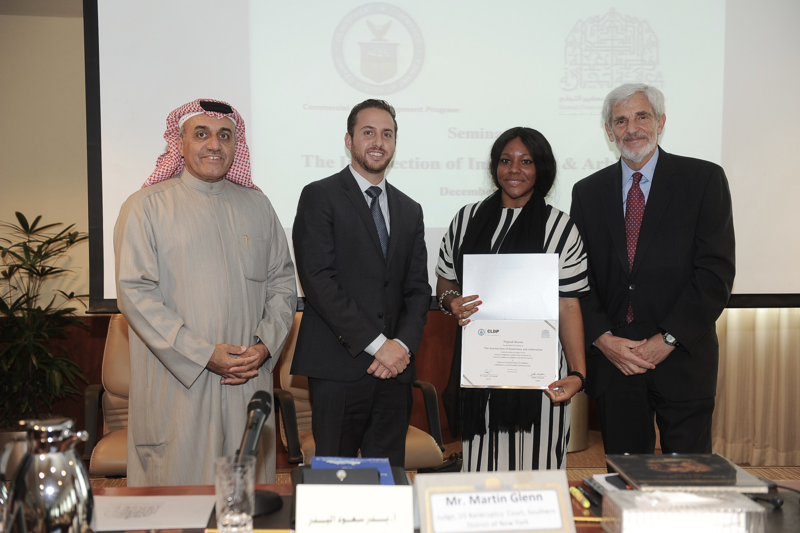 The Event was sponsored by The KCAC and The Commercial Law Development Program (CLDP) U.S. Department of Commerce. The Keynote Speaker was the Honorable Judge Martin Glenn, US Bankruptcy Court, Southern District of New York. Judge Martin Glenn discussed the general principles in Insolvency and Arbitration, as well Arbitration in Cross-Border Insolvency Proceedings. Representing Kuwait was Mr. Bader Saud Al Bader, Chairman of The Law Office of Bader Saud Al-Bader & Partners. Mr. Bader discussed the Kuwaiti Arbitration Law's Position on Insolvent Parties.